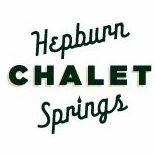 Hepburn Springs Chalet is located right in the middle of Hepburn Springs Village, and is walking distance or a short drive from the biggest attractions that Spa Country has to offer, including the iconic Hepburn Bathhouse and the Hepburn Golf Club, as well as a number of great shops, cafes and restaurants. The Chalet is only 3km from the middle of Daylesford, where you will find even more food and shopping destinations! Like no other place in the area, The Chalet is like a warm memory or trip down memory lane, with beautiful retro decor complementing the origins of the building. It is the perfect destination for a romantic trip, family holiday or group event.